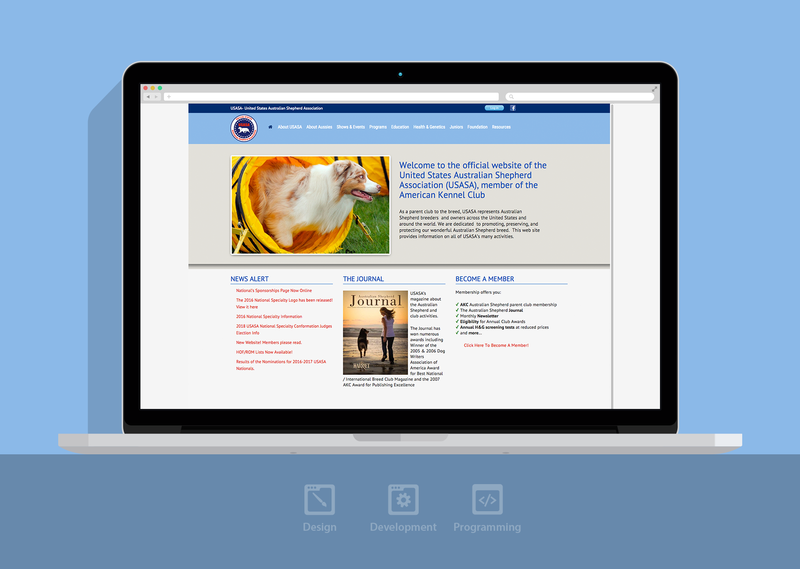 PROJECT GOAL: To design a membership website for the United States Australian Shepherd Association (AKC Australian Shepherd parent club). 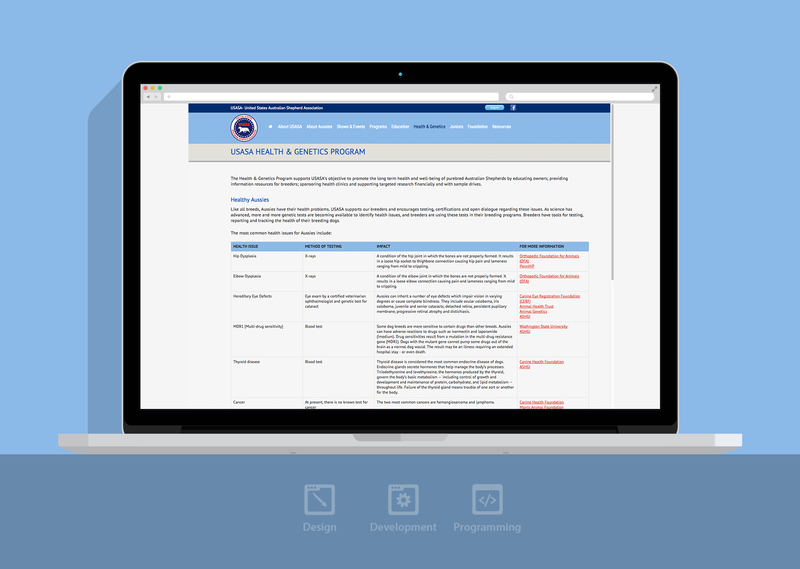 USASA is an informational website for it’s members, but also where they can update their personal information and renew their yearly membership. Our website design included a membership database that allowed their members to not only update personal information, but also to pay various services, such as membership renewals, subscriptions, genetic tests, etc. This project required database design and custom programming.